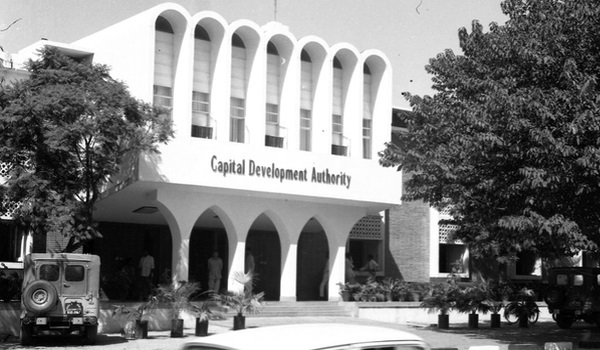 The Capital Development Authority (CDA) has been in action for a while against property owners involved in nonconforming use of their property. In this regard, several residential buildings where commercial activities were being carried out were sealed by the CDA’s Building Control Section (BCS). Per a news report, BCS sealed 56 buildings in the last three month. In the last week, on a case filed by property owners against CDA for putting a ban on commercial use of their respective residential properties, Islamabad High Court (IHC) announced its verdict in favour of the civic authority. The CDA now looks even more serious about dealing with this nuisance of using residential buildings for commercial purposes. According to the CDA’s record, there were a total of 1,695 residential buildings where commercial activities were being carried our illegally when the operation started. Today, the count has dropped to 664, as the owners of 715 properties have converted their building to conforming use. Per CDA, the remaining buildings are mostly being used as schools, clinics, guest houses and offices of lawyers. With IHC dismissing the plea filed against the CDA’s action against illegal use of residential units, the civic authority now seems stern to carry out its drive across the board without discriminating between public and private properties. Reportedly, the CDA has already taken necessary action against those running 24 government offices in residential buildings and is set to deal with the remaining 21. BCS Director Shafi Marwat has signaled carrying out an operation against the guest houses operating in residential buildings. The course of action against the hostels that are set up in residential buildings would be the same, which has left many students worry about their accommodation. Reportedly, room rentals in hostels set up in residential areas are much lower than that in the hostels situated in commercial areas. The drive against hostels with no alternative offered will make it difficult for students to manage their expenses. The situation seems even worse for female students for whom 12 out of 53 universities have no hostels and 24 out of the total have failed to accommodate all female students who applied for an accommodation in the last four years. Either the universities have to step forward and make it possible for students from other cities to carry out their studies without worrying about accommodation or the CDA has to offer an alternate solution. If you are an owner of the residential property that’s being used for commercial purposes, we recommend you conform use of your property per the CDA guidelines.